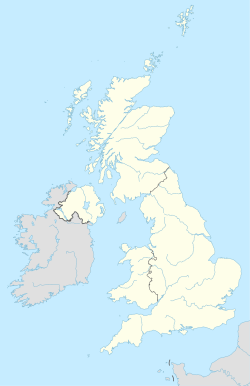 The CV postcode area, also known as the Coventry postcode area, is a group of postcode districts around Atherstone, Bedworth, Coventry, Kenilworth, Leamington Spa, Nuneaton, Rugby, Shipston-on-Stour, Southam, Stratford-upon-Avon and Warwick in central England. Postal districts CV1 to CV6 covers the city of Coventry and its immediate suburban areas, while districts CV7 to CV47 cover all towns, villages and rural areas beyond the city itself. A number of suburban villages in the CV6 area lie within neighbouring Warwickshire, including Hawkesbury Village (effectively a suburb of Bedworth) and Neals Green. Coventry remains the post town for the CV7 district, even though large villages such as Balsall Common and Meriden lie within the Solihull Metropolitan district and are several miles west of the city, very close to the Birmingham postcode area. CV7 is also unusual in that it is split between two distinct areas rather than having continuous coverage (CV2 and CV6 are inbetween) and part of which lies in southeast Bedworth, though the majority of the town is covered by the CV12 postcode. The CV postcode area is relatively extensive (especially north to south) and borders the postcode areas of Birmingham (B) to the west/northwest/southwest, Leicester (LE) to the northeast, Derby (DE) to the north, Northampton (NN) to the southeast, Gloucester (GL) and Worcester (WR) to the southwest, and Oxford (OX) to the south. The CV47 district was formed in 1999 from parts of the CV23 and CV33 districts. CV postcode area map, showing postcode districts in red and post towns in grey text, with links to nearby B, DE, GL, LE, NN, OX and WR postcode areas. ^ "Royal Mail Postcode Update 29". Beacon Dodsworth. Retrieved 22 April 2017.